Working in a town other than where you live can for sure take some getting used to. When you make it a teeny-tiny town, things can get even more complicated. I'm talking about lunch, people. When you have to pack a lunch every single day, it can get a little old. I'm over a plain turkey sandwich, the thought of subway pushes me over the edge on most days, and Church's chicken offers few, if any, point friendly options. There's also a place called Inner City...it's has cheeseburgers that are so good it's not even right. Again, not an option when I'm trying to stay at my fighting weight. So this means I'm a brown bagger. Or a plastic bagger, in reality. It's me, some tupperwares, and a trusty wal-mart sack...just trying to make it in Sunflower county. Every morning I pack breakfast, snacks, and lunch. Planning is essential. Variety is a must. It takes practice, focus, discipline. Wait, what am I talking about? Packing lunches? Yeah. OK so maybe it's not that intense, but it is something I have to think about. And FYI, barbacoa beef smells phe-nom-i-nal while it is cooking. It's all in the marinade. And FYAI, it travels well and is great left over. Score one for the brown baggers! 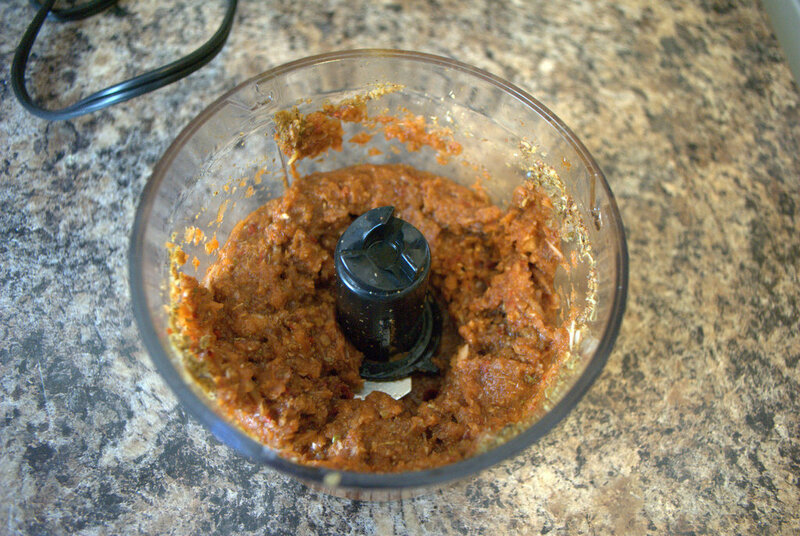 In a food processor combine the garlic, onion, lime juice, chilies, cumin, oregano, cloves, salt and pepper. Meanwhile, cut the meat into four inch hunks. Heat the oil in a really big pot and brown them on high heat for a few minutes. Add the liquified spices, the bay leaves, and the water. Reduce heat to low and simmer, covered, for about four hours. Check occasionally to make sure that it has enough liquid. 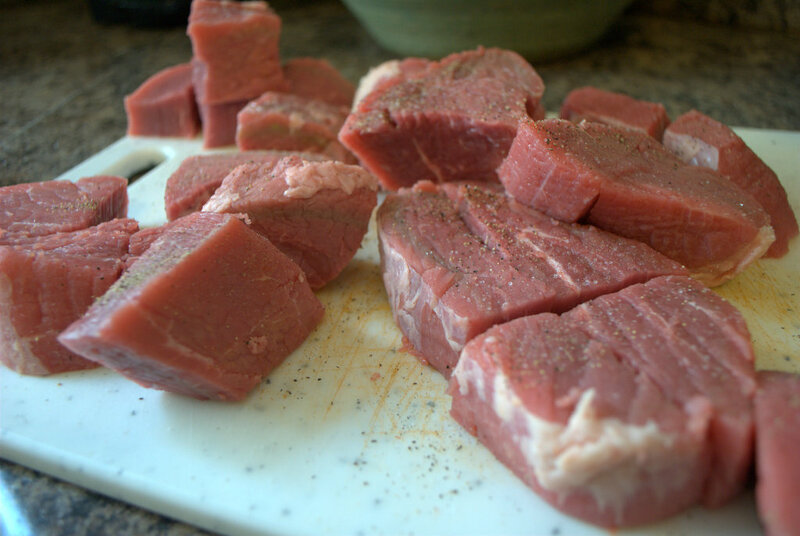 Remove the meat, shred with two forks, return it to the pot, adjust the seasonings. I served this wrapped up in a low carb tortilla with reduced fat cheese and sour cream. It would also be great served over rice!